Summer months are a great time for celebrating in the sun, but it is very easy for our pets to overheat. Care Center Vets provides pet owners simple warning signs caused by dangerous conditions that become increasingly common in the summer. If your pet is dealing with any of these situations, it should be treated as an emergency, and emergency care should be sought immediately. 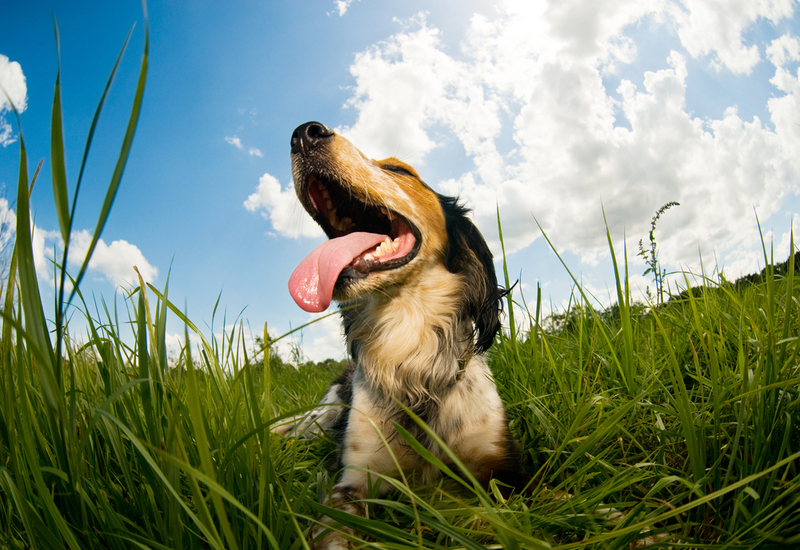 What Can Prolonged Exposure to Heat Do to Your Pet? When pets are out in the sun and heat without water or any other sort of reprieve, their lives can quickly be put in danger. If pets go without access to water or shade, they can become dehydrated leading to serious and potentially fatal conditions such as heat stroke and cardiac arrest. It is important that you are aware of the signs of heatstroke and dehydration to ensure that you can get your pet the emergency help it needs as soon as possible. All pets even those that are in great shape can suffer from heatstroke. The pets most likely to be affected are those who are older, or overweight. Pets who don’t get much exercise, have heart or respiratory problems, and certain breeds—typically brachycephalic breeds—of cats and dogs are more likely to have problems in the heat. Regardless of how much water you get your pet to drink, if you believe that your pet is dehydrated, take them in to see a veterinarian right away. A veterinarian may determine that your pet needs more than just water. For pets battling heatstroke, it is important that you attempt to slowly cool your pet down to avoid shock. If possible, bring your pet inside to the air conditioner or find a shady spot. You can put a cold towel on your dog or cat’s head and neck (without covering the eyes, nose, or mouth). You can also run cool water or over your pet’s body to help lower their body temperature. Give your dog a little cool water to drink and see a veterinarian right away. If your pet is dehydrated, you will need to help replenish the fluids and electrolytes in his or her body. The first step to helping your pet is to give them some cool water to drink. You should also bring them to a cool area or put cold towels on them to prevent heatstroke. You may need to take them to a veterinarian because in some cases, your pet will need to get an IV of fluids to help replenish all the electrolytes lost. How Can You Prevent Heat Stroke and Dehydration? Avoid bringing your dog out in the heat for more than just a short time, try to stay in a shady area and have plenty of water available for your dog. Shorten up your summer walks or walk in the early morning when temperatures are cooler. Avoid walking on asphalt, which tends to hold a lot of additional heat and can burn the bottom of your pets’ paws. If your dog needs outdoor play time, consider getting a small pool and filling it with water for them to keep cool. You’ve probably been told a million times to never leave your dog in the car on a summer day. That’s because the temperatures inside the car can quickly climb higher than the external temperature, and since dogs don’t sweat, they overheat in a matter of minutes. When your pet overheats, it can suffer from organ failure, and if they are left in extreme temperatures for too long, it can be fatal. Even with the air conditioning running or the windows cracked, it can get too hot for pets in the car. Even if you do your best to prevent heatstroke and dehydration, there may be a time when you are faced with an emergency situation. It is a good idea to be registered with a 24-hour emergency veterinary hospital to ensure you have a place to take your pet in the event that there is an emergency. Pre-registration will help the process be less stressful and help the staff to triage your pet getting them the care they need quickly. If you are in the Cincinnati or Dayton areas of Ohio, Care Center Vets can help you in the event of an emergency situation like heatstroke or dehydration. Call the Cincinnati office at 513-530-0911 or the Dayton office at 937-428-0911, or pre-register at CareCenterVets.com today.